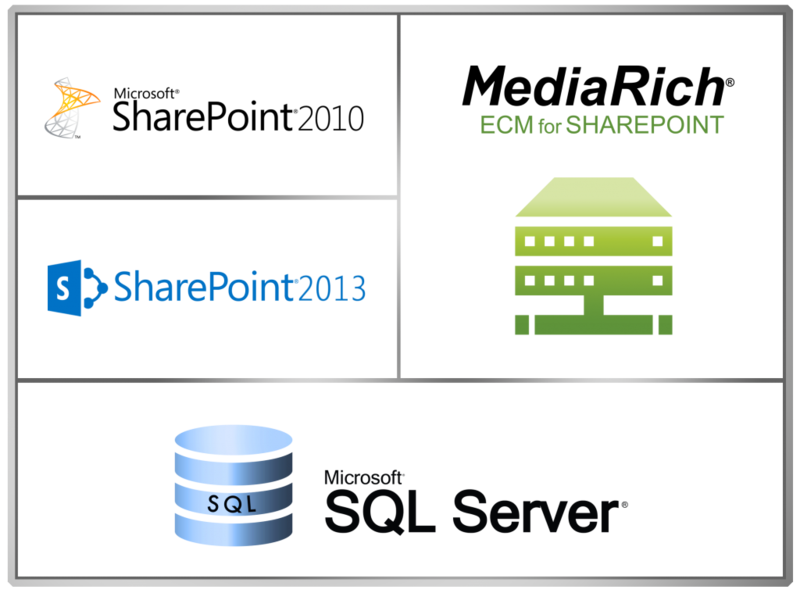 MediaRich ECM for SharePoint is proof that sophisticated applications can be leveraged inside of a company’s SharePoint deployment. Because it is seamlessly integrated in SharePoint, MediaRich enhances SharePoint deployment without requiring modifications to the deployment. 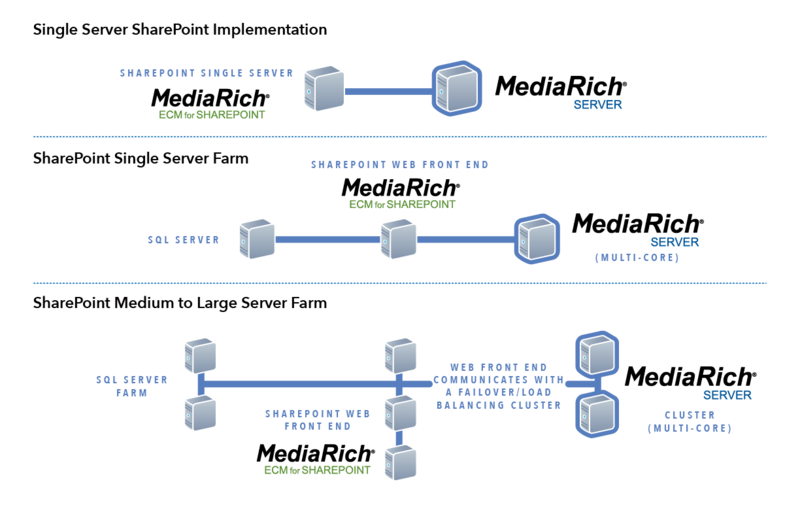 It can be deployed on Premises or in the cloud (Azure and AWS ready). MediaRich Server can be integrated into any stand-alone or Web application through Microsoft .NET Web service and the MediaRich COM Application Programming Interface (API). MediaRich URL-based methodology, Microsoft .NET Web service and COM application programming interface (API) enable seamless and straightforward integration with application servers, asset management systems, CMS, content delivery networks, databases and standalone applications.This includes a MediaGen WebService client to create and execute requests, providing the framework for building transaction-based services for various media types, data interaction and extraction of data from heterogeneous production environments. MediaRich for SharePoint allows any organization from small work groups to large enterprises to collaborate and manage all of a company’s digital assets making Microsoft SharePoint products and technologies an invaluable collaboration platform. MediaRich for SharePoint is scalable to meet any business’ digital asset needs regardless of number of users or original file size. The installer is available in English, French, German, Korean, and Japanese. Other languages can be added quickly for your language of choice.